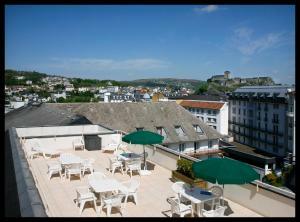 This stylish hotel is situated in the heart of Lourdes, just 75 metres from the Sanctuaries. 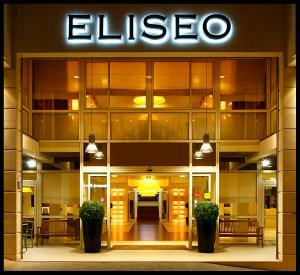 Hotel Eliseo features a panoramic rooftop terrace with views of the Chateau-Fort and the Pyrennees. 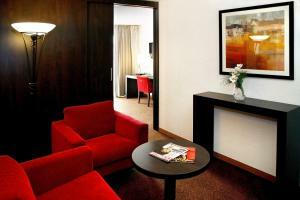 The spacious rooms are decorated in a contemporary style and come with a king size bed and a flat-screen TV. 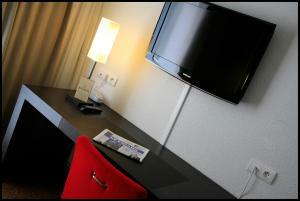 They are also equipped with a minibar and access to free Wi-Fi. 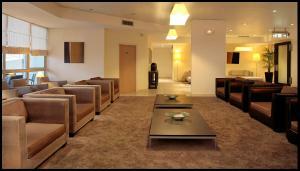 The brightly furnished restaurant serves a varied menu of regional delicacies accompanied by local wines. After a day’s sightseeing, guests can relax with a drink at the Eliseo bar or admire the views from the terrace. The on-site tourist office provides information on excursions. Play golf in Lourdes, visit the beaches at Biarritz and go hiking in Le Pic du Jer. There is also a boutique selling souvenirs. Conveniently located, Hotel Eliseo is only 15 minutes from Lourdes/Tarbes airport and 10 minutes from the SNCF central station. Private parking is available onsite.